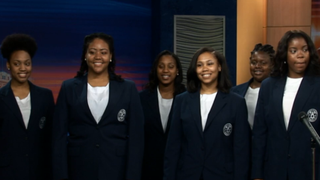 The only two historically black female colleges still up and running in the nation—Spelman College in Atlanta and Bennett College in Greensboro, N.C.—are commemorating Women’s History Month by having their choirs perform together at a joint concert March 16, WFMY News 2 reports. The gig—a first for both schools—is aptly called a “her-storic” event and will take place at Bennett College. The choir director at Bennett spoke about how the joint concert came to be, and why it’s so special that the choir groups are coming together to pay homage to Women’s History Month. Read more at WFMY News 2.